Hello! 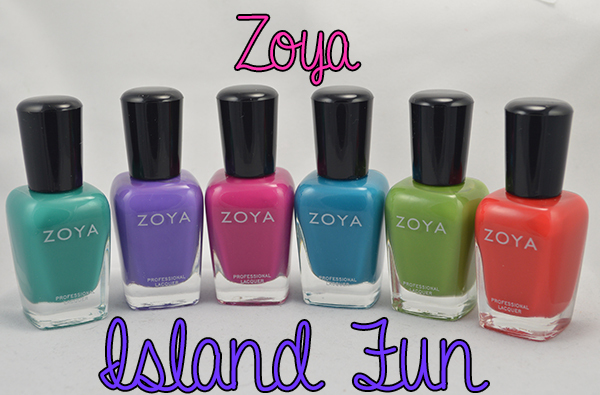 I finally have the second half of Zoya's new summer collection. The Island Fun collection consists of 6 cremes that compliment the other 6 metallics from the Paradise Sun Collection. Cecilia is described as "a classic teal in a full coverage and densely pigmented cream formula." WARNING: Stains! Terribly. I also found the formula to be very thick and goopy. 2 coats. Serenity is described as "a summer purple in a full coverage and densely pigmented cream formula. Reminiscent of beautiful blooming irises, a harbinger of summer." No issues with formula or application. 2 coats. Nana is described as "a deep summer fuchsia in a full coverage and densely pigmented cream formula." No issues with formula or application. 2 coats. Talia is described as "a true turquoise in a full coverage, densely pigmented cream formula." WARNING: Another stainer! So disappointed about the staining issues, I even used my regular base coat and it still stained. 2 coats. Jace is described as "a modern tropical green in a full coverage formula. A green that is more muted than lime." This is typically not a color I desire, but it ended up probably being my fav from this bunch. No issues. 2 coats. 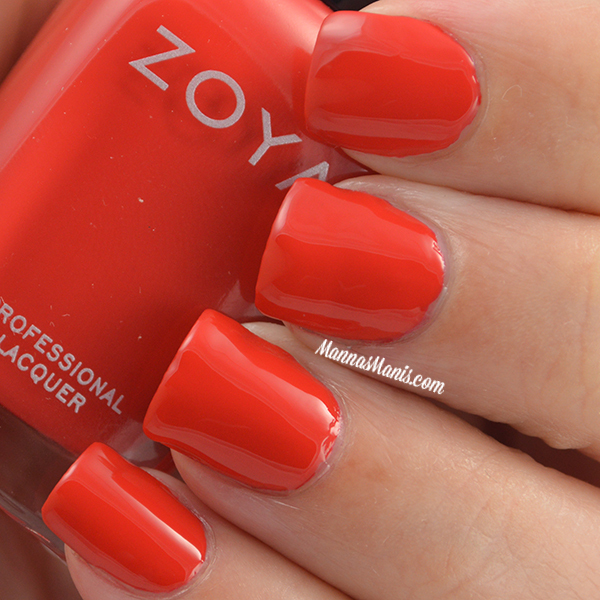 Demetria is described as "a vibrant poppy red in a full coverage and densely pigmented cream formula." I could not get a very color accurate photo with this one, sorry! No issues. 2 coats. 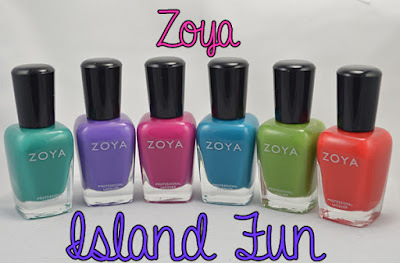 You can pick these up on Zoya.com for $9 a piece or $54 for the set of 6.